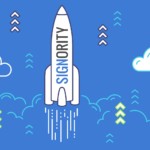 By default, Signority sends the document to everyone all at once, and they can sign as soon as you send the document. However, if your document has a specific workflow that people need to sign in, you can create a Signing Order to send out signing invitations in a specific sequence. Begin by creating a New Document using the +New button. The process for sending the document out is the same as how you create electronic signature documents, just with a few changes. 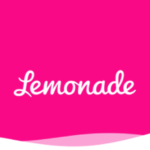 Upload the document that has a specific signing order. On the Recipients page, add the appropriate number of signers needed. Click Signing Order to create a sequence. Drag & sort the recipients in the correct order, or set their signing order number manually. When you’re done, move to the Editor page and add the Tags needed. Assign tags to the right signers. Once completed, click Next to send the document. Alison Wonderland receives the invitation first. When she completes the signing process, John Hancock will receive their invitation. When he submits the document, Kevin from Signority will be the last signer and receive their email. When a sequence is created, invitation emails will only send after the previous person in the sequence completes their signing. Note: You can allow multiple people to sign at the same step, just give them the same signing order number. For e.g. if Kevin from Signority, in the example above, was set to the 2nd signer as well as John Hancock, but John and Kevin will receive the invitation email simultaneously after Alison Wonderland submits her signature. When a signing order is used, recipients who aren’t able to sign yet will be listed as “Invitation not Sent” in the Recipient List Page.